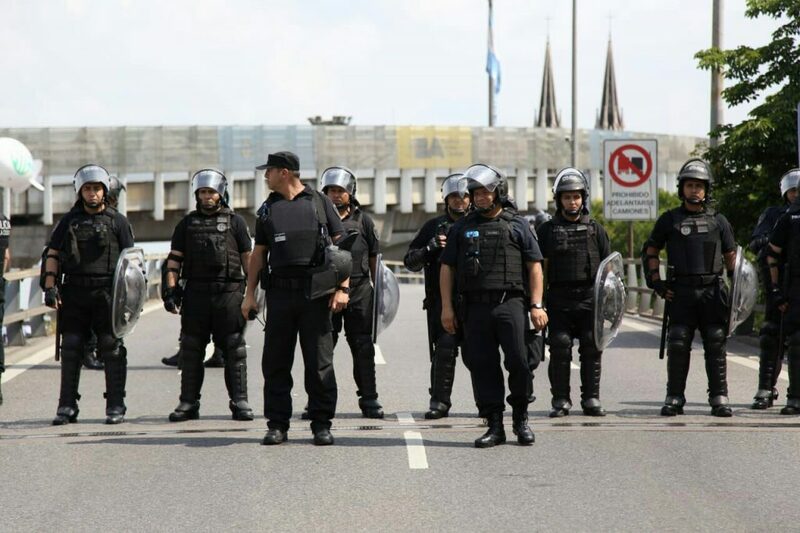 In the weeks leading up to the grand G20 Summit in Buenos Aires, which itself lasted a total of 48 hours, the Argentine government and hegemonic media warned the public about the potential for violent mobilizations by ‘extreme left-wing groups’ against the summit. At the same time, international and national news, social media and public service advisories constantly provided information that Buenos Aires and the surrounding areas would become a heavy militarized, almost non-functioning zone during the summit, with all trains and metro service being suspended and a shocking 22,000 police personnel reported to be on the ground. Not to mention the news that hundreds of US troops would be stationed in neighboring Uruguay to ‘protect’ Trump while he attended the summit for a day. 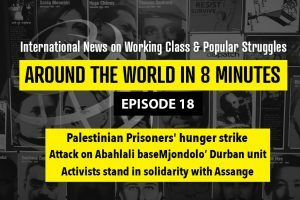 The media and state’s campaign of terror and fear was designed to discourage social movements, organizations, trade unions, and other civil society formations, who had been planning to protest the summit for months, from carrying out their just actions. For some, the threats and pressure were enough, several major mass movements in Argentina decided not to mobilize on the streets on Friday. Of the organizations that did march, many decided to send smaller contingents and most agitation and propaganda actions like graffiti and stencils, commonplace in many types of mobilizations in Argentina, were discouraged as the overwhelming police presence and surveillance could mean that such actions could be harshly punished. 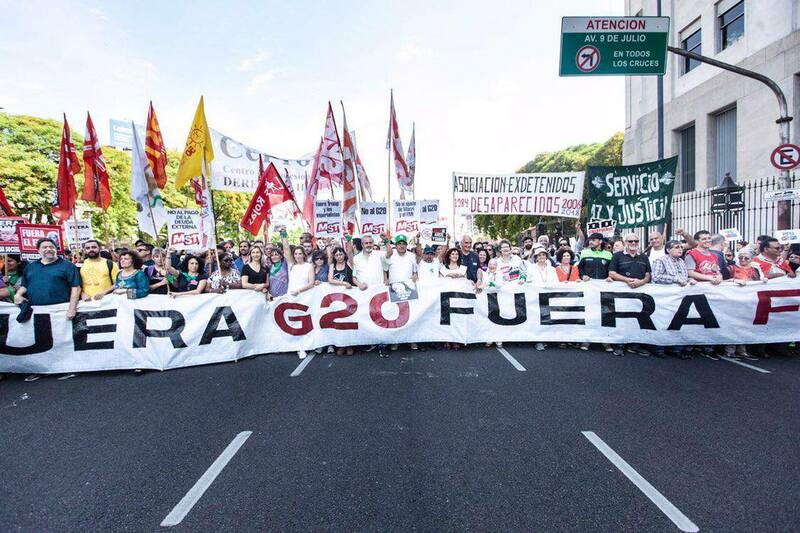 Nonetheless, thousands took to the streets on Friday, November 30, to raise their voices against the G20 group and all that it stands for. Several Argentine and Latin American militants and leaders gave their perspective on why it was important to mobilize against the G20. Lana de Holanda from Brazil was also present at the march. She is a transwoman, a feminist and was the advisor to Brazilian councilwoman Marielle Franco who was assassinated in March 2018 by hitmen in Rio de Janeiro. 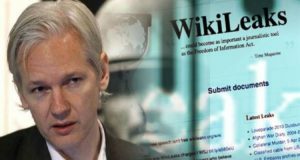 Lana stated “It is very important to protest today because the Global North thinks that Latin America, like Africa, is the dumpster of the world. We cannot allow our natural reserves to be used for the exploitation of our people. Marielle would be very proud of our struggle, without a doubt. 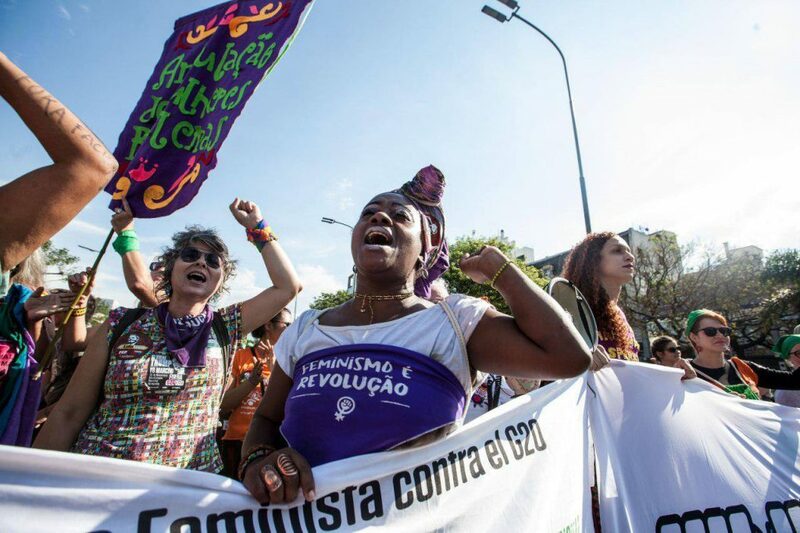 To see a mobilization with so many indigenous, black women, many from Brazil. She would be very proud and to see that the transformation that she believed in so much, will one day happen. 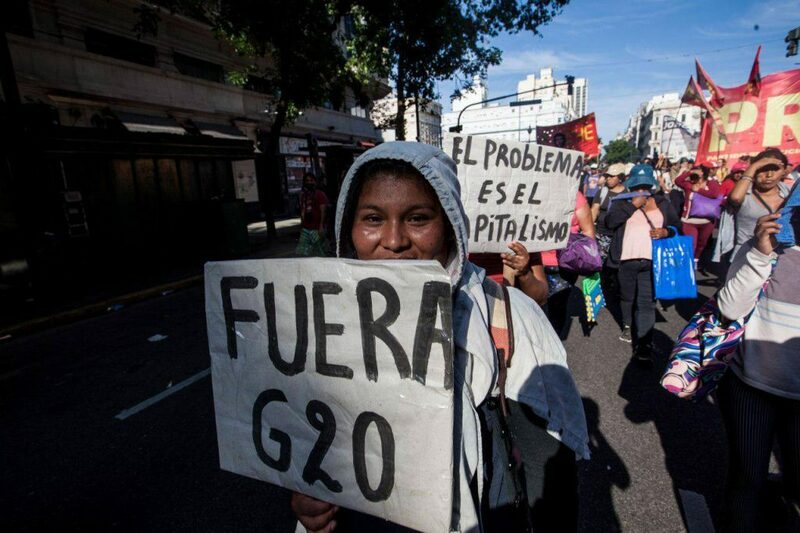 The march was the final event in the week of action against the G20 Summit organized by the ‘Out G20 IMF’ Platform, which brings together dozens of political and social organizations in Argentina. The week involved talks, workshops, forums, panels, a people’s economy fair, and a music festival. Hey Buddy!, I found this information for you: "In Buenos Aires, all roads lead to resistance". 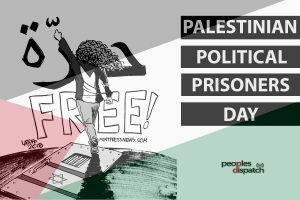 Here is the website link: https://peoplesdispatch.org/2018/12/05/in-buenos-aires-all-roads-lead-to-resistance/. Thank you.